Protein Powder: Not all protein powder is created equal. Many varieties are loaded with additives and sugars that actually deplete your body of energy. I like Genuine Health Fermented Vegan Proteins+ Powder. It contains 20 grams of fermented protein per serving with no artificial colours, flavours or sweeteners. 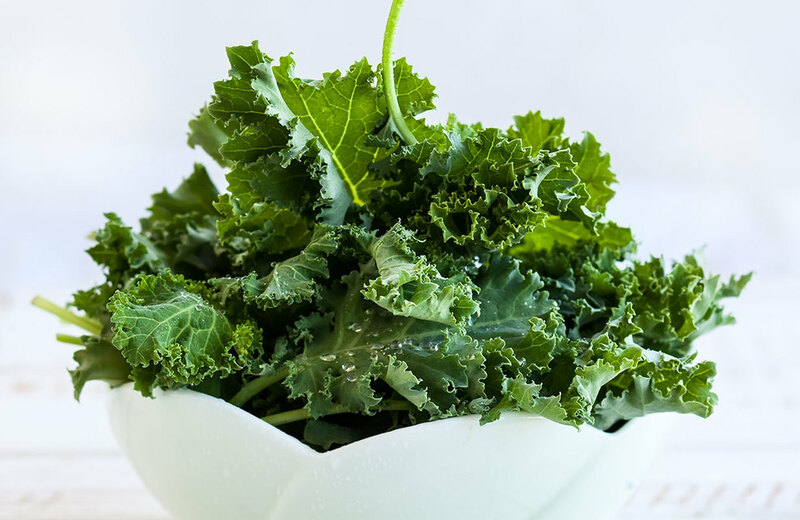 Kale: This dark-leafy green is brimming with vitamins, minerals and antioxidants that cleanse your body of toxins and provide an abundance of plant-based energy. It’s no wonder this green goddess is about as famous as Beyoncé! Kefir: I can’t say enough about this deliciously creamy ferment. It’s full of healthy bacteria that regulate digestion, balance gut flora, reduce inflammation and so much more. If you can’t tolerate dairy, try my Coconut Kefir recipe. Blueberries: There’s nothing quite like the taste of fresh blueberries in the summer. Crisp and juicy with a sweet and tart tang, they’re nature’s candy. To boot, blueberries are rich in antioxidants that help fight free radicles and boost brain function. MCT Oil: An excellent source of energy, MCT Oil increases performance by giving your body quick, sustained energy, and are not stored as fat (We can all use a little of that!) I love adding it to smoothies and my Vegan Bulletproof Coffee. Blend all these incredible ingredients together, and you have a recipe for the perfect morning! If you love it as much as I do, let me know in the comments below. 1 scoop Genuine Health Fermented Whole body Nutrition with greens, Natural Vanilla Chai flavour Vegan Powder. Blend all ingredients until smooth. Add more water if you desire a thinner consistency.